The term “La Vida” or “us” or “we” refers to the owner of the website whose registered office is detailed on this site. Our UK charity registration number is 1115796. This website contains material which is owned by or licensed to La Vida. This material includes, but is not limited to, the design, layout, look, appearance and graphics. Reproduction is prohibited other than in accordance with the copyright notice, which forms part of these terms and conditions. Consent to use any materials from this website is subject to approval from its owners first. 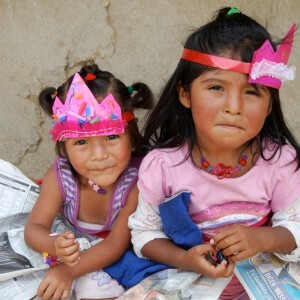 A monthly donation of £15 provides quality education for a child at Vila Maria, Lima, Peru. Sponsors receive information on the child they are supporting and regular updates on his or her progress.